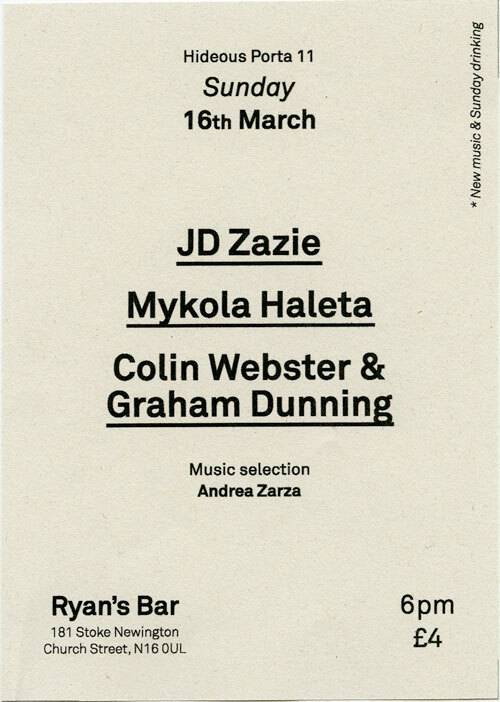 On Sunday 16th March I’m playing live again with Colin Webster at Hideous Porta 11, Ryan’s Bar, Stoke Newington. We’re touring our new album, Estigate. The event starts at 6pm and we’re the first act performing. Facebook event here.